Snapshot 20160811 had only two packages update in Tumbleweed, but there were a significant amount of patches and cleanup for grub2. Updates for gnome-photos to 3.20.3, wine to 1.9.16, and xen to 4.7.0_10 were just a few of the many updates that made it into snapshot 20160810. Libnfs and libvirt were updated in the snapshot. Python3-setuptools updated to 25.1.6 and a few updates for YaST virtual machine and network were also in the snapshot. New packages in openSUSE Factory will automatically be submitted for the next release of Leap until Beta 2. Beta 2 is the freeze to get packages into the release of openSUSE Leap 42.2. For those who want to get packages in the Beta 1, the submission deadline is August 25. The Release of Leap’s Beta 1 is expected to be released for testing on August 31. Testers are encouraged to test the latest development versions of Leap, which can be found at software.opensuse.org. 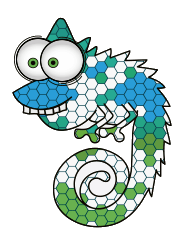 « openSUSE.Asia Summit has a logo!!! !